Drove down Wed and did no fishing. Long drive followed by a martini meant early bed time. Thursday winds really kicking hard and high was 34. Two wind proof jackets and still the cold wind got in. Fishing out in front of hotel after coldest bait cutting session ever endured. 8 oz frog tongue just rolled in the surf..the sand almost took the paint off my rod it was blowing so hard. Decided after three casts to hit southside of point. Packed the truck and off we went. Hit ramp 48 and no bites. Tried a bit further south and no hits. Hit the point ramp 42 and discovered that shelly island is gone. Now part of the point so it really goes out far now. Caught three sharks and lost a big fish. BIG FISH...hook pulled and was possibly the biggest fish I never saw or landed. Took some great shots and will update next week when I get home. Packing up 6:30 am to hit point again. Coldest fishing trip I ever did was the north point there about 30 years ago in December. Freezing spray on everything. Slept in coats at hotel where wind found every little crack and crevice of room. Most miserable tip ever. Friday I started at the point all alone with no one around. Put three rods out with yesterdays mullet and waited for an hour before I got a hit. Bam rod goes down and after so many bad things, I manged to land a nice super fat 27.5 red drum. Ok my reel starts back reeling then the line got caught on a snap on my heavy coat. Then I fell over my own feet but managed to not hit the ground and scrambled to my feet and yet still did not lose the fish.. Good Karma must have been mine because I landed the fish and it was in the slot. About 10 am I went to get an apple ugly but they where out. So I got a huge fried cherry pie. Later we headed right back to the same spot. Just down from us was either a troop of midgets or a bunch of cute kids. They where all dressed up in tiny neoprene waders and carthart coats. Well they landed 4 nice red drum like they have done it so many times before. May have been well dressed midgets from the way they fought and landed those drum. I got no hits and packed up at 3pm to recover with ibuprofen and a martini. Left knee was killing me but has stopped now.. Fried cherry is gone. Saturday was warm and sunny. Got a really good sunburn on my face. No hits at three locations. Tried but they just would not bite. Never saw any one else land a fish so maybe I did the same as the rest of the fisherman. The whole shelly island tourist thing was in full swing today. Hundreds of people showed up on the beach to look for that perfect shell. It was so crowed that the fisherman could not cast with out looking twice for an open spot to heave a bait out. I watched as the masses dig holes and walk away leaving holes to trip the next passer by. One lady had so much perfume on that I almost had to run over and rub some mullet on her. Good gosh that was some foul perfume...YUCK.. give me mullet any day over that perfume. A guy with a metal detector was working around my truck. BTW they are illegal on OBX. Later my loverly bride and I where enjoying a smoke/martini on the porch and a mermaid appeared. Took a dip in the ocean and got her man to do the same. He has trouble in his future..
Surfer was out catching waves. High today was 48 degrees. Lot's of crazy people here..I love it and feel right at home here. Plan for Sunday is to fish and make sure we have provisions for a long night of fun. Little people, mermaids, sunburn and perfume. And this is a fishing report? I fished hard for almost 8 hours today ....no hits and no bites on my bait. New Years Eve report. Wind and cold kept us in the truck but we fished two locations for several hours each. Thank full for the rod rack having two forward rod holders. Got out cast and placed in rod holder...brrr..back in truck to watch the rods. Stayed warm and enjoyed some nice music. No hits today either. Back in warm room to await the New Year. You all have fun and avoid the roads. Amateur drinkers are everywhere. Professional drinkers, stay away from Absinthe cocktails made by IHC captains! Well it is 26 degrees in Buxton. Winds are from the North at 20 mph. Wind chill is 10. My coffee is hot and tasty. My bait is frozen in the cooler..most likely no fishing report today guys. When I get home I will add a bunch of pictures. 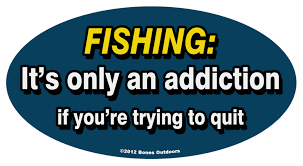 If I do fish today I will check myself into The Fishing Addiction Clinic. They have several to choose from here. Buxton , a small drinking village with a fishing problem. 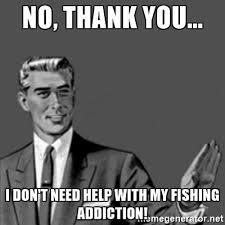 If I do fish today I will check myself into The Fishing Addiction Clinic. They have several to choose from here. We headed down on Wed to stay till Tuesday. Tried in front of hotel but 8n bait just rolled down the beach..it was cold..bait froze inside bait box. Caught a few sharks on Thursday at point and south beach for some shelter from the wind. Ibuprofen and martini solved my left knee pain. Sometimes the world is upside down. Ever notice how thousands of pelicans and sheer waters never get close enough. It is 45 degrees and this surfer caught many waves. Snow capped mountains in the distance..or are they? Decided fishing from inside truck was a good idea. Took a 15 mile ride on the beach and found this monument. Monday never left room as it was 10 degrees with the wind chill. Excellent pictures.....me thinks that we all like pictures. We may even get jealous or wishin' we were there but it's always nice to get a story. For me anyway, that plays! Looking forward to many stories and pics in 2018!! 7 day winter back packing trip in the High Sierra's of CA. After we hit the snow pack it was snow shoes all the way up the mountain. On day 2 the zipper to the tent broke. Had to safety pin the tent flap together and the rain shield blocked some of the wind. Got fish every day. Find running water and you found fish.